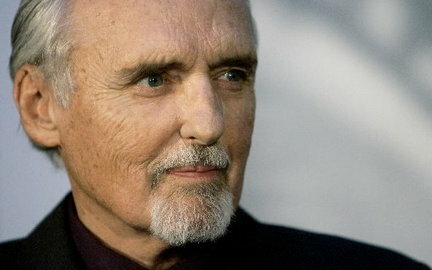 DENNIS HOPPER, the high-flying Hollywood wild man whose memorable and erratic career included an early turn in "Rebel Without a Cause," an improbable smash with "Easy Rider" and a classic character role in "Blue Velvet," has died. He was 74. Hopper died Saturday at his home in the Los Angeles beach community of Venice, surrounded by family and friends, family friend Alex Hitz said. Hopper's manager announced in October 2009 that he had been diagnosed with prostate cancer. The success of "Easy Rider," and the spectacular failure of his next film, "The Last Movie," fit the pattern for the talented but sometimes uncontrollable actor-director, who also had parts in such favorites as "Apocalypse Now" and "Hoosiers." He was a two-time Academy Award nominee, and in March 2010, was honored with a star on Hollywood's Walk of Fame . After a promising start that included roles in two James Dean films, Hopper's acting career had languished as he developed a reputation for throwing tantrums and abusing alcohol and drugs. On the set of "True Grit," Hopper so angered John Wayne that the star reportedly chased Hopper with a loaded gun. "Much of Hollywood," wrote critic-historian David Thomson, "found Hopper a pain in the neck." All was forgiven, at least for a moment, when he collaborated with another struggling actor, Peter Fonda, on a script about two pot-smoking, drug-dealing hippies on a motorcycle trip through the Southwest and South to take in the New Orleans Mardi Gras. On the way, Hopper and Fonda befriend a drunken young lawyer ( Jack Nicholson , whom Hopper had resisted casting, in a breakout role), but arouse the enmity of Southern rednecks and are murdered before they can return home. "'Easy Rider' was never a motorcycle movie to me," Hopper said in 2009. "A lot of it was about politically what was going on in the country." Fonda produced "Easy Rider" and Hopper directed it for a meager $380,000. It went on to gross $40 million worldwide, a substantial sum for its time. The film caught on despite tension between Hopper and Fonda and between Hopper and the original choice for Nicholson's part, Rip Torn , who quit after a bitter argument with the director. The film was a hit at Cannes, netted a best-screenplay Oscar nomination for Hopper, Fonda and Terry Southern, and has since been listed on the American Film Institute's ranking of the top 100 American films. The establishment gave official blessing in 1998 when "Easy Rider" was included in the United States National Film Registry for being "culturally, historically, or aesthetically significant." Its success prompted studio heads to schedule a new kind of movie: low cost, with inventive photography and themes about a young, restive baby boom generation. With Hopper hailed as a brilliant filmmaker, Universal Pictures lavished $850,000 on his next project, "The Last Movie." When it was released, "The Last Movie" was such a crashing failure that it made Hopper unwanted in Hollywood for a decade. At the same time, his drug and alcohol use was increasing to the point where he was said to be consuming as much as a gallon of rum a day. Shunned by the Hollywood studios, he found work in European films that were rarely seen in the United States. But, again, he made a remarkable comeback, starting with a memorable performance as a drugged-out journalist in Francis Ford Coppola 's 1979 Vietnam War epic, "Apocalypse Now," a spectacularly long and troubled film to shoot. Hopper was drugged-out off camera, too, and his rambling chatter was worked into the final cut. He went on to appear in several films in the early 1980s, including the well regarded "Rumblefish" and "The Osterman Weekend," as well as the campy "My Science Project" and " The Texas Chainsaw Massacre 2." Upon his release, Hopper joined Alcoholics Anonymous , quit drugs and launched yet another comeback. It began in 1986 when he played an alcoholic ex-basketball star in "Hoosiers," which brought him an Oscar nomination for best supporting actor. His role as a wild druggie in "Blue Velvet," also in 1986, won him more acclaim, and years later the character wound up No. 36 on the AFI's list of top 50 movie villains. He returned to directing, with " Colors ," "The Hot Spot" and "Chasers." From that point on, Hopper maintained a frantic work pace, appearing in many forgettable movies and a few memorable ones, including the 1994 hit " Speed ," in which he played the maniacal plotter of a freeway disaster. In the 2000s, he was featured in the television series " Crash " and such films as " Elegy " and " Hell Ride ." "Work is fun to me," he told a reporter in 1991. "All those years of being an actor and a director and not being able to get a job — two weeks is too long to not know what my next job will be." For years he lived in Los Angeles' bohemian beach community of Venice, in a house designed by acclaimed architect Frank Gehry. Dennis Lee Hopper was born in 1936, in Dodge City, Kan., and spent much of his youth on the nearby farm of his grandparents. He saw his first movie at 5 and became enthralled. After moving to San Diego with his family, he played Shakespeare at the Old Globe Theater. Scouted by the studios, Hopper was under contract to Columbia until he insulted the boss, Harry Cohn. From there he went to Warner Bros., where he made "Rebel Without a Cause" and "Giant" while in his late teens. Later, he moved to New York to study at the Actors Studio, where Dean had learned his craft. 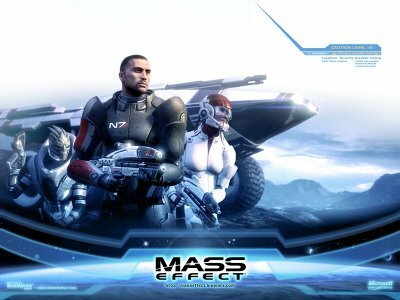 Legendary Pictures has picked up rights to “Mass Effect,” the Electronic Arts-BioWare video game. Mark Protosevich, the scribe who wrote “I Am Legend” and worked on “Thor,” is in talks to pen the movie, which will be produced by Avi and Ari Arad as well as Legendary’s Thomas Tull and Jon Jashni. “Mass,” which debuted in 2007, is an epic sci-fi action game set in the year 2183, focusing on a human soldier and his starship, the SSV Normandy. The galaxy-spanning story involves a long-extinct race of aliens, dormant beacons and more alien species than you can shake a lightsaber at. A sequel to the game was released in January. The project is still in the early stages of development, though any game-to-screen undertaking would require a massive commitment. So far, humans vs. aliens movies have tended to be set on Earth, which makes those films easier to shoot while making them relatable for mass audiences. One of the by-products of the success of “Avatar” has been showing that moviegoers will follow and invest themselves in non-human characters if given a reason to, which opens the door for more alien movies. CAA-repped Protosevich is known for his large-scope sci-fi work. In addition to “Legend” and “Thor,” the scribe worked on remakes of “Stranger in a Strange Land” and “The Bride of Frankenstein,” both still in development at their respective studios, and is writing the English-language translation of “Old Boy” for Mandate. Casey Hudson, who exec produced the game series, said BioWare always “thought ‘Mass Effect’ was perfectly suited to be a motion picture,” while Pat O’Brien of UTA-repped EA said the game was seen early on as having cross-over potential by EA Entertainment, whose mission is to take key EA titles and develop new ways to expand their audience. In the meantime, check out the video I attached here, which is a trailer for the game itself. And no... we're not referring to the gad-AWFUL version of Planet of the Apes that Tim Burton made a couple of years ago with Mark Wahlberg. DEADLINE New York reports that 20th Century Fox has set James Franco to star in Rise of the Apes, the Rupert Wyatt-directed prequel that the studio has dated for a June 24, 2011 release. Chernin Entertainment's Peter Chernin and Dylan Clark are producing with Amanda Silver and Rick Jaffa. Silver and Jaffa wrote the script. Production begins July 5. Franco and Wyatt met last week and sparked to a collaboration, giving production president Emma Watts a whopping tent pole for summer, 2011. It's the second in recent weeks, after she set Matthew Vaughn to direct X-Men: First Class, which is set for June 3, 2011 release. The film is set in contemporary San Francisco, where a genetic engineering experiment leads to the creation of intelligence in apes, causing an inevitable conflict between species. Fox has already partnered with Peter Jackson's WETA Digital for the cutting edge visual effects. 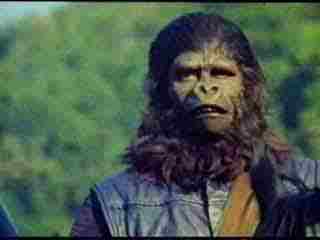 Franco plays a young scientist who becomes a crucial figure in the war between humans and apes. Makes sense that the studio would be high on Franco right now because they've recently seen his work in 127 Hours, the Danny Boyle-directed fact-based drama. Franco plays Aron Ralston, the hiker whose arm got pinned under a boulder for hours. He was forced to saw off the limb with a dull knife and found the strength to climb down the mountain. When I found out that a fourth Shrek movie was being made, it made me frown because it seemed pretty needless, especially that the last movie was such a bore. But then again, if you take the storyline into consideration, this becomes a fitting final chapter to formally close the Shrek series. The movie is originally entitled SHREK FOREVER AFTER, but in other regions of the world including ours, it is entitled SHREK: THE FINAL CHAPTER, so it's obvious. First we go to the more unpleasant aspects; this movie works more as a fantasy-adventure movie rather than a comedy. That's because the humor factor of Shrek has gone old already. 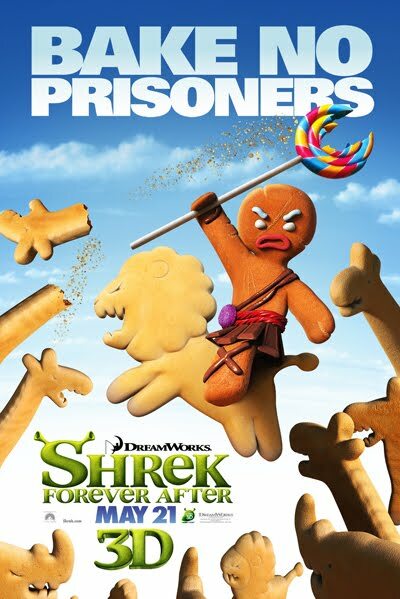 This movie seems to squeeze the very last drop of what is left of the Shrek series' dried out desert of humor. Sure, it may make us give out a chuckle here, a chuckle there, but this Shrek movie cannot make us laugh out loud anymore. When you look back at its title "Shrek the Final Chapter" you would realize that this movie does seem to apologize with the fact that this'll be the last and probably an admission that they could not squeeze any more decent thing out of the Shrek saga after this one; it's a final effort to make one last buck. On the other hand, Shrek's main story aspect is a little more interesting than its humor. As I said earlier, this movie is better as a fantasy adventure because we do get to see an alternate reality where Shrek is back into being an outcast Ogre and everybody else who was originally part of his circle of friends has not met him yet. Eventually, they get into an adventure wherein he must face a new enemy, a new problem, and he even gets to meet other ogres and an ogre resistance army that pretty much reminded me of Warcraft (the old-school Warcraft 2 to be exact). In this bizarro world, Donkey has not met him, Puss has become obese, and Fiona is the leader of the Ogre resistance. Shrek must go through this alternate universe and survive it before the day passes and a curse will consume him for good. Shrek gets to have some action with a horde of witches and must face the dragon once again. I could not say that the action was impressive but it has its little cool moments. I particularly loved the chain skull weapons that the witches use. In addition, this movie works also as a family domestic drama where it maturely deals with the simple family issue of boredom and being sick of how repetitious family life can be. I daresay that the film can work as a satire or perhaps a metaphor that some married men can learn from. There is one sequence in the movie that does capture this crisis; I am talking about the scenes where we see Shrek realize that despite the fact that he does live a happy life, it can get pretty dull and annoying at times, but then again that's life. Perhaps it becomes boring because many of us choose not to grow up; many of us choose to not let go of what our past lives were. That is what happens to Shrek in this movie. To escape the mediocrity of a family life, he wishes to relive the moments when he was still just a normal ogre again. And because of this, he puts his family life in jeopardy. Shrek 4's tale comes full circle in the sense that it questions if Shrek did have a "happily ever after" ending in the past three movies, and puts one last fantastic circumstance to let him live out a reality that this never happened. And lastly, Shrek 4's main potential lies in its romance. With an alternate reality story, Shrek faces a Fiona that has never met him. Therefore, Shrek must find out some way to make Fiona fall in love with him all over again. If you ask me, the romantic aspect of this movie is as innovative as the first Shrek movie, in ways that it tells mature subject matter in the guise of fantasy. The Fiona of the alternate reality mirrors the plight of women who gave up on romance, and one scene certainly negates the falsity of most fairy tales with a line that goes something like: "a mere kiss does not solve everything" It negates other fantasies like "Sleeping Beauty" or "Snow White" because it destroys the superficial aspect of those obsolete fairy tales with a more realistic approach, because indeed, a kiss is nothing if there is no true love that goes with it. In my opinion, Shrek 4 succeeds in this aspect. Shrek may not be the best movie this summer, or it might not be the funniest Shrek movie, but it certainly is one that is very rich story-wise. Just as his line in the first movie went “I have layers” and there certainly are deeper layers to this story rather than one that will just make you laugh. Of course, this works out as a great family movie, but it is certainly perfect for couples, most especially married couples, and parents alike. I give SHREK FOREVER AFTER a.k.a. SHREK: THE FINAL CHAPTER a Matinee rating for single serving; and a Full Price rating for family servings. It was actually last January when we featured here on Film Junkie news on Chito Roño working on a project which is also musical entitled "Emir" Now we get to see the trailer for EMIR and we have found out that the release date for this movie would be June 9, 2010. EMIR is an original full-length Filipino musical written for the screen that extols the heroism of a Filipina OFW. Directed by Chito S. Roño, Emir tells the story of a nanny named Amelia (portrayed by Frencheska Farr). She is an Ilocana who decides to work in the Middle East to help her family. She takes care of the Sheik's wife who is about to give birth, and later acts as the nanny to Ahmed, the Sheik's eldest son. Amelia helps raise Ahmed and in the process, introduces him to the Filipino culture, values and language. She acts like a surrogate mother to the young prince and is even willing to sacrifice everything to protect him. Along the way, she befriends a Filipino based abroad (portrayed by Sid Lucero). Based on true events, including the Gulf War and an actual meeting with a crowned prince who surprisingly speaks fluent Tagalog and Ilocano, Emir is a novel cinematic work on the diligence and bravery of a Filipino. I am actually impressed by EMIR because it employs actors and actresses that are not necessarily among the roster of what are considered among the current mainstream superstar status. The use of unfamiliar actors and actresses in cases like this usually is a good indication that these people were chosen for their roles because of their quality as performers rather than their bankability if they were superstars. The other performers featured in Emir are musical and theater luminaries such as Dulce, Beverly Salviejo, Liesl Batucan, Melanie Dujunco, Kalila Aguilos and Julia Clarete. Adding spice to the Filipino cast are Arabic-looking actors who delineate the roles of the child Ahmed played by Joshua Hourani and Mahdi Varjani and who underwent intense workshops to learn the Filipino language with an Arabic accent. Rolando S. Atienza, chairman of the Film Development Council of the Philippines (FDCP) and executive producer of Emir feels that Emir will live up to its vision of paying tribute to Filipino OFWs through music, songs and dances that will capture the hearts of the Filipinos. "Let us all be proud of the contributions of our OFWs to the world, and be prouder more than ever, the dream of a world-class film industry becoming a reality." Emir is full of breathtaking scenes shot in Ilocos Norte, Ifugao province and Morocco, where 70% of the film was shot in high definition with the RED Camera and presented in Dolby 5.1 Digital Surround Sound. For Nestor O. Jardin, a co-Executive Producer of Emir , the movie is a dream project. 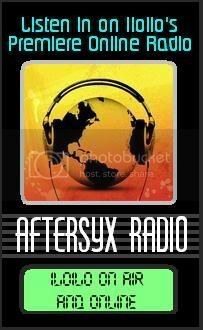 "First and foremost, the material is good and the musical genre is something I'm comfortable with. We are also thrilled to have an outstanding artistic team led by Chito S. Roño. I am sure it will be a landmark film." Atienza adds: "The larger-than-life sets...all the efforts, filming elements, use of top-notch talents and equipment, as well as the excellence of the performance of the different film collaborators of Emir , raises the bar for Philippine filmmaking." Emir is produced by the Film Development Council of the Philippines (FDCP), in association with the Cultural Center of the Philippines (CCP) and Viva Films with the support of the Manila Broadcasting Company (MBC). Emir will open on June 9, 2010 in theaters nationwide. According to REUTERS, the MEN IN BLACK are headed back to movie theaters for a third time in a new version set for a 3D release, starring Will Smith. Tommy Lee Jones, who teamed up with Smith in the sci-fi comedy playing a pair of agents who track down aliens, is in advanced talks with the studio to reprise his role in "Men In Black III" in 3D. According to Columbia Pictures, the movie is scheduled to hit theaters on May 25, 2012. Josh Brolin also is in talks to work on the movie. It will be directed by Barry Sonnenfeld and produced by Walter F. Parkes and Laurie MacDonald. Steven Spielberg will executive produce. “I think Rambo’s pretty well done. I don’t think there’ll be any more. I’m about 99% sure. I was going to do it, I said I’d never talk about this, but I feel that with Rocky Balboa, that character came complete circle. He went home. But for Rambo to go on another adventure might be, I think, misinterpreted as a mercenary gesture and not necessary. I don’t want that to happen. Stallone’s not done with Rambo completely, though. He told Empire that he’s at work on a director’s cut of Rambo which will restore twelve minutes to the movie, including a surprising outburst of loquaciousness for the mumbling man of action at the movie’s beginning. I saw this as a deleted scene on the DVD and I agree that it should have been included in the original version. Stallone said that he was afraid that it was going to sound preachy, but I didn't think so. The scene was beautiful and thought-provoking. Stallone did great with it, and to restore it unto a director's cut of the movie is a great idea. I must say that this, Not doing the fifth Rambo movie, is one of the most smartest decisions ever made in the world of Hollywood. The fact that it gives much more weight on safeguarding the integrity of a movie franchise rather than just merely cashing in on its marketing power, is something that should be praised and gives the hope that the integrity of Hollywood films are not absolutely doomed to commercial trash. Ever since the first Rambo movie "First Blood" we all know that its main character John Rambo is just a war veteran who is just looking to find his own peace. Sure, he is a killing machine (even as an old man living in the forests of Southeast Asia), but it is not in a clear willing choice that he is so. His stories are more of being driven to or forced unto the situation. The story of John Rambo gradually faltered a bit on the second movie (Rambo: First Blood 2, which is also my personal favorite movie of the series), and by the third movie, Rambo became a bit of a video game character, impossibly invincible and unstoppable. When the fourth Rambo movie came, it was a pleasant surprise that the characterization of Rambo came back to the same mood as that of First Blood. Sans the violence (which regular audiences might consider too extreme for their senses), the 4th Rambo movie (titled merely "Rambo" in the US and UK cinemas, but titled as "John Rambo" in Philippine cinemas and other parts of the world too) was well-written, well-directed, and had a mature approach to the Rambo series. And this movie also delivered a fitting end to the character of Rambo. Ever since First Blood, Rambo just merely wanted to get home, away from the war he had been into. By the end of "John Rambo" we finally get to see him set foot home. And that is the way it should go for this movie franchise, to close the movie properly with a character having his own happy ending. To do otherwise would ruin the characterization of Rambo. We do not want Rambo to become this goofy cartoon character or video game character. Rambo was fleshed out well in the first and last movie, there is no need to turn him into something really childish. The story of Rambo has ended. And it was a good end. It is New Mexico, and in the middle of the desert, we see Agent Coulson driving towards what appears to be a site where SHIELD operatives seem to be studying something in the area. There is a wide crater. And in the middle of the crater, we see what appears to be the hammer Mjolnir. Thor's Hammer. It is not really something for regular audiences to be thrilled with, not unless one is a comicbook fanatic or is familiar with this super-hero universe. But for us geeks, it is indeed something to be thrilled with. But what was upsetting is that we heard reports that there was one cinema here in Iloilo that had abruptly cut off the scene, the result is that the people who were awaiting the additional scene were not able to see the said teaser. Yes, this is upsetting because that scene is part of the movie. On the topic of THOR, yes indeed, THOR is coming and is about to be released on May 6, 2011. To those who have no diea yet, THOR is the Marvel comics character who is also based on the Norse mythology god of thunder. The movie is directed by Kenneth Branagh (the Shakespearean actor & director, whose popular works include Hamlet (1996) and an adaptation of Mary Shelley's Frankenstein (1994), and will star Chris Hemsworth as Thor, Natalie Portman as Jane Foster, Anthony Hopkins as Odin, and Tom Hiddleston as Loki. With what appears to be initial stages of generating hype for the THOR movie, the first image of Chris Hemsworth in costume as Thor has already been released online; it's such a teaser photo since the picture is cropped in a way that it does not give out the full details of that the costume would look like. IN MY OPINION, I am not liking the way the costume covers up his arms, like a chain mail sleeve that actually kinda looks rubbery in this picture. Im not too much of a purist as to how a movie adaptation should look like the source material, but in this case, the original comicbook costume, in my opinion, should be preferred. His muscle arms should show because this adds to the Norse god feel to it. ANYWAY, this is just a minor reaction and I'm sure that if the movie turns out to be great, then minor nitpicks like this will just simply disappear in the process. IRON MAN 2: ENERGETICALLY SPECTACULAR! I thoroughly enjoyed IRON MAN 2. But there are some very minor stuff that sort of bothered me. First off, I did like the character played by Mickey Rourke, which is Ivan Vanko (which seems to be a combination of the comic book characters Whiplash & Crimson Dynamo). But I felt that the details of the character were too underdeveloped. We got to see his some of his quirks and a little bit of back story which we thought was going to be spotlighted later on in the movie. Only to realize that the backstory which felt like a teaser was not fully satisfied in the end anyway, and we walk off the movie not really having a full grasp what his character was all about. If the story wanted him to be a mysterious "force of nature" villain, the film should not have heavily teased on a backstory in the first place, and should have gone with the fully mysterious psycho all the way. Basically his character was out to have vengeance on Stark, accusing his family of stealing an idea his (Vanko's) father pioneered. But in the end, it really was not clear what that "stealing of idea" was all about, or how Vanko's father was allegedly betrayed by the Stark family. There is a fantastic use of various rock n' roll soundtracks. The popularity, massive budget and the power of this movie probably made it easy for the film to acquire rights to various songs that were smartly placed in the film. Sometimes to a point that you could tell that this is merchandising at work because it subliminally entices you to go get the movie's soundtrack album. It should also be noted that the movie also builds up to an anticipated AVENGERS movie. To those who do not know what I am talking about, AVENGERS is a superhero group in the Marvel comics universe where characters like IRON MAN, CAPTAIN AMERICA, THOR, and many others are organized into one group - THE AVENGERS - in order to fight greater threats from more lethal super villains. You cannot dismiss the movie as just a superhero movie because like any good superhero movie, the story focuses on the characters rather than on just the superhero. The film does not solely rely on action, but much on humor. There were moments in the middle of the movie that made me forget I was watching a superhero movie, or an action movie. Much of IRON MAN 2 centers its focus on Tony Stark's relationship with his friend Rhodes, his assistant Pepper Potts, and his rival Justin Hammer. Also, the chemistry between Robert Downey Jr. and Gwyneth Paltrow is very sparklingly attractive and fun to watch. Don Cheadle was fine as Rhodes, Tony Stark's friend. But the fact that he is not muc of a physical match with Terence Howard, the actor he replaced for the role, messes up what should have been a fluid consistency with the previous Iron Man movie. In the end, though, you will forget and disregard this minor detail (and he is, in comparison, as good as a replacement as Maggie Gyllenhal was in replacing Katie Holmes in the Dark Knight movie). Robert Downey Jr. is magnificent in his role. His Tony Stark is like the ultimate new role model; girls throw themselves at him and guys wanna be like him. His humor is always on the spot and his charms are flawless. His screen presence and how he makes a scene come alive is the major battery that makes this an enjoyable film. And then there's Samuel Jackson as Nick Fury. Which reminds me of the other nitpick detail that hated about the movie, and that is Nick Fury's first appearance in the movie. For a character which is supposed to have some degree of importance, his first scene looked like it lacked impact. Fury, appearing and having a conversation with Stark, in morning daylight, while wearing that shiny coat, made him look like a joke. And then we see the first costume appearance of Black Widow in the same scene, which also made her appearance have no impact at all. In fact, it was a scene that awkwardly made Nick Fury and Black Widow look silly and indeed looked like two people wearing costumes for some Halloween party. Even though the first line of Fury was indeed very funny, I still stand by the opinion that it was one scene that was just poorly conceptualized. Comedian Garry Shandling also appears in the movie, and although his role is not a major one, I consider him to be a highlight of the movie. He plays a Senator who is very skeptical and critical of Tony Stark and seems to have a shady background. His role was deadpan serious and almost villainous that he instantly feels like an unignorable beloved "other villain". From the moment he appears you can tell that he's supposed to be a big A-hole, and he does a great job with it. Jon Favreau who is both a great actor, comedian, and is also the director of the movie did a great job in making this sequel spectacular and continuously fun to watch. Despite its flaws, the movie was very enjoyable. It was well-paced, and designed never to bore its audience. The dialogues are very witty. And its performers did a marvelous job with their lines. It also had interesting non-cliché comedy gold moments. One of the funniest scenes that I enjoyed involve Robert Downey Jr. and one of those office decorations (you will know by the time you watch the movie). Although I felt that there would have been many interesting stunts or refreshingly new action tricks that can be made with the new villains (especially one wielding a super-powered whip), I cannot disregard the fact that it was a good thing that the film invested more on the storyline aspect so to not make this movie just a mere “dumb action flick” and eventually achieves to appeal to all audience demographics. All in all, IRON MAN 2 is a High Matinee movie. Although greatly flawed, these flaws are only noticeable from a critical point of view. Even I came out of it with a full-bar fun movie satisfaction, and only realizing its flaws hours later. If you love a movie with witty characters and some cool heavy metal robot action, then this movie is definitely for you. And let me remind you that there is an ADDITIONAL SCENE AFTER THE END CREDITS, so if you don't wanna miss it then you might wanna stay awhile for it.